Before using a mark or applying for a federal trademark registration, it is usually a good idea to first perform a search to determine if others are using the same or similar trademark to yours. The U.S. grants trademark rights based on use alone and not only on registration. Therefore, searching the USPTO trademark database alone is not sufficient to determine whether your mark is clear for use. As explained below, you need to have performed a comprehensive trademark search to be sure your proposed trademark is clear for use. 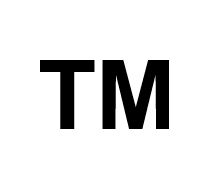 You can think of trademark searching as insurance against the risk that someone will later assert the use of your mark infringes their prior rights, which may result in legal and name change costs. If you begin using your mark without searching, someone else may have superior rights in the same or similar name so that your use is an infringing use. If you are successfully sued by a trademark owner for using its trademark, you may be forced to stop using the trademark. Stopping the use of the mark could be expensive. Consider the need to change items having the mark, including advertisements, signs, letterhead, business cards, brochures, packaging, marked products, and your website. In addition, a court can hold a willful infringer liable for increased damages and require the infringer to pay the trademark owner’s attorney’s fees. In short, the risks of not searching include the hassle and expense of a name change and possible legal costs. The trademark search should be a comprehensive search, which includes federal trademark registrations, state trademark registrations, and common law trademark usages. A broad search is needed because in the United States trademark rights can be obtained by use alone. A registration is not necessary for a person or entity to obtain trademark rights. Therefore, searching the U.S. Patent and Trademark Office (USPTO) trademark database is not sufficient to determine whether your use of a mark is clear. Someone could have gained superior rights in the mark by use without registering. U.S. common law provides rights based on use because trademarks are designed to prevent consumer confusion. Therefore, in one example, the law grants rights to trademark users where the relevant purchasing public has come to recognize a particular trademark as representing a source of particular goods/service, even if that trademark is not registered. This rule protects consumers, but increases the search burden on companies because searching the USPTO database may not find all relevant uses of a mark. Further, even if the USPTO grants you a trademark registration on your mark, that is no guarantee that you can use your mark. This is true because, as stated above in the U.S. trademark rights can be generated based on use alone without any registration. The USPTO will only check the USPTO database and will not check state databases, the internet, or common law usages to see if someone else has used the same or similar mark for the same or similar goods and service as you. If a prior user has superior rights, in some circumstances, the prior user can seek to have your trademark registration canceled along with demanding you stop using the mark. In other circumstances, the prior user might have trademark rights in the geographic area that they were operating in before you registered. Such rights might prevent you from expanding to market and sell in that area. The only way to know that you are clear to use your mark throughout the U.S. is to have a comprehensive trademark search performed. Therefore, you cannot rely on the USPTO’s approval of your mark as clearance. Further, it could take between six months and a year to obtain a trademark registration. See current trademark pendency times here. If you tried to rely on the USPTO’s approval, you would have a long wait time before you knew whether you could use your mark. This timeframe is too long for most companies wanting to launch a product or service with a name. Companies want to know quickly whether the chosen name is clear. If you have a comprehensive search preformed you will generally know within a few weeks or less whether it is clear to use the mark. The comprehensive search should include direct hits (identical wording/characters) as well as marks that are similar or might lead to consumer confusion. This search frequently includes searching for homonyms, synonyms, phonetic equivalents, alternative spellings, anagrams, marks with similar components, and marks that start or end the same, or that have other similarities. A comprehensive search may look in federal and state trademark databases, online databases, trade directories, product catalogs, internet domain names, and the like. The goal is to find an actual use of the proposed mark, or a similar mark, whether or not it is officially registered. While preliminary searching the USPTO database is not sufficient to determine whether a use of a mark is clear, it is a good first step. If during a preliminary search at the USPTO you find that the same or similar mark is registered for the same or similar goods, then you don’t need to go on with the comprehensive search. Instead you can go back to the drawing board and come up with a different name. To determine whether there is a conflict between marks, courts use several factors, including the similarity of the marks and the similarity of the goods/services. The same or similar marks can co-exist in certain circumstances where the goods or services offered under the marks are sufficiently different. In other words, if the goods/services you intend to provide are sufficiently different from the goods/services offered by the registered trademark holder, then you might be able to use and register your mark without a conflict. Determining whether the difference between marks and between the goods/services is sufficiently different is very circumstance depended. You should consult with an attorney on this question when you find a similar mark. click on help button for more information on search methods and syntax. Comprehensive trademark searching is an important step in determining whether a trademark is clear for use. Searching the USPTO trademark database is a good first step, but is not sufficient to determine whether the use is clear. This is true because trademark rights can be acquired by use alone, and unregistered uses will not be discovered by searching only the USPTO trademark database. Previous PostPrevious How to Stop Copiers During Patent Pending? Next PostNext What is Patent Pending?